Join Librarian Jen Rutner for an introduction to the bibliographic software Zotero. Zotero is a free, open-source software developed by scholars, for scholars. Zotero can help you format citations, create a bibliography, build a comprehensive database of your sources, and share sources and bibliographies with groups. This workshop is open to students and faculty. 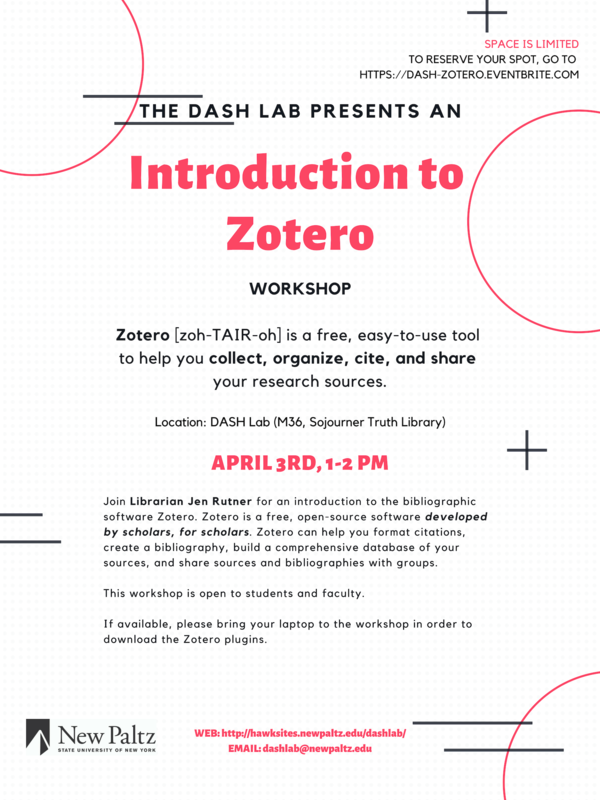 If available, please bring your laptop to the workshop in order to download the Zotero plugins.